Including a self-proving affidavit with your will may ease the burden of probate. A self-proving affidavit is a sworn statement attached to a will, signed by the will maker and his or her witnesses, that attests to the validity of the will. It is not necessary to include a self-proving affidavit – a properly written, signed, and witnessed will is legal without it -- but including one may help make probate go more quickly. Why Make a Self-Proving Affidavit? If you write a will, it must go through probate. During probate, your executor must “prove” the validity of the will to the probate court. Proving a will involves convincing the court that the will document really is the will of the person it purports to be. Methods for proving a will vary, but many courts will require the witness to appear at court, either personally or by sworn statement. If there is any trouble locating a witness, it could cause problems or delays with probate. But if you include a self-proving affidavit with your will, it does not need to be proved to the court. The affidavit itself proves the will. This could speed up the probate process – something your loved ones are sure to appreciate. To learn more about probate, go to the Probate section of Nolo.com. Whether you can use a self-proving affidavit depends on the law of your state. Most states allow the use of self-proving affidavits, but there are a few exceptions. In states other than those listed above, a self-proving affidavit will help your will move more quickly through probate. have that document witnessed by two witnesses who will not receive any property under the will. 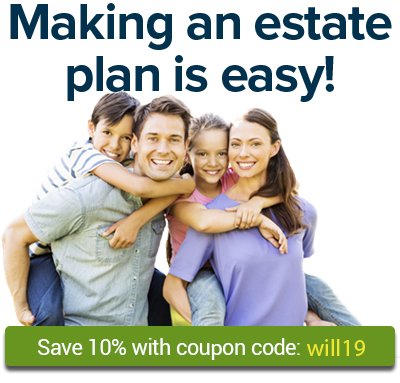 To learn more about how to make a valid will, read Executing a Will. If you want a self-proving affidavit and you hire a lawyer to write your will, ask him or her to include one. If you write your will yourself, the program you use should include a self-proving affidavit as an option. If not, most states include sample language for a self-proving affidavit it its statutes. Just go to the wills section of your state’s law and look for a section about the self-proving option. For help with this and to learn more about looking up your state law, go to the Legal Research section of Nolo.com. To make a will that includes a self-proving affidavit for your state, try Quicken WillMaker Plus or Nolo’s Online Will.